This article covers how to backup and restore Group Policy settings in Windows 10. 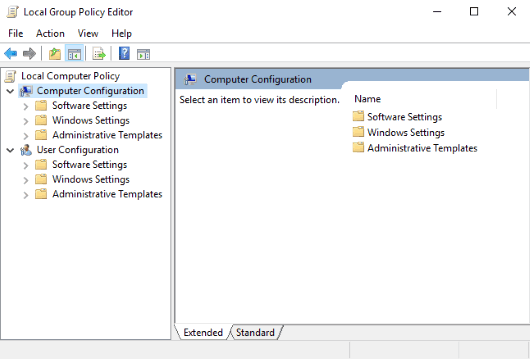 Local Group Policy is a built-in feature of Windows 10 which lets you configure or set tons of settings. It is helpful to enable or disable Windows Defender Antivirus, disable right-click menus, WiFi hotspot, enable or disable Action Center, and much more. All such settings are saved under the GroupPolicy folder and GroupPolicyUsers folder in System32 folder of Windows. Though you can manually take backup from there, it might not work. Therefore, this article covers backup and restore scripts for the same purpose. You just need to download the backup file and execute it. After that, it will generate a backup folder of all the settings you’ve set under Local Group Policy. 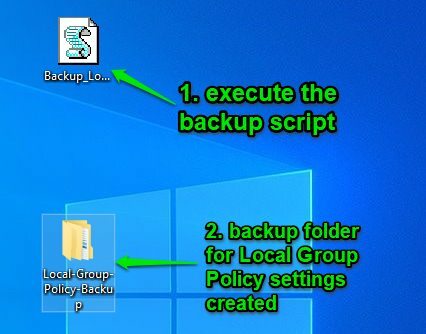 Later, whenever you think there is a need to restore the LGPO (or I say Local Group Policy), that backup folder by executing the restore file or script. Note: Local Group Policy feature is supported in Enterprise, Pro, and Education editions of Windows 10. How to Take Backup of Group Policy Settings and Restore It on Windows 10? Step 1: In this very simple step, open this link which will help you download the VBS file to your desktop, which is related to the backup of Group Policy settings. Step 2: Once the backup file is downloaded, execute it and it will create a backup folder on the desktop. That backup folder will contain Machine, GroupPolicyUsers, and User folders. All these folders contain the settings you’ve configured using Local Group Policy. In case you want to check which Group Policy settings are applied to your Windows 10 PC, then you may check this separate article for it. Step 3: Now you need to get the restore VBS file. Download it. Step 4: Whenever you need to restore all your configured Local Group Policy settings, just execute that restore script. It will restore all the changes and apply the previous settings. Over the period of time, you must have changed a lot of settings in Windows 10 Local Group Policy on your PC. It is good to have a backup of all such settings. It will come in handy when there are some settings changed accidentally. You will be able to easily restore all the settings you’ve applied in Local Group Policy.